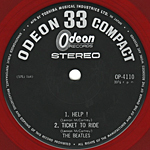 The Help! 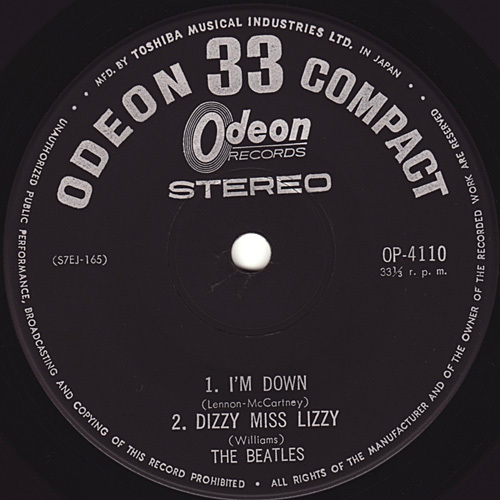 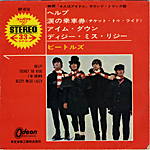 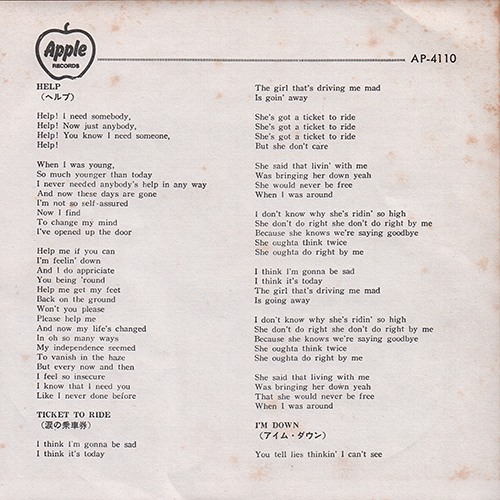 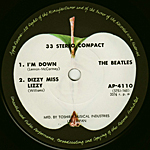 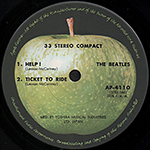 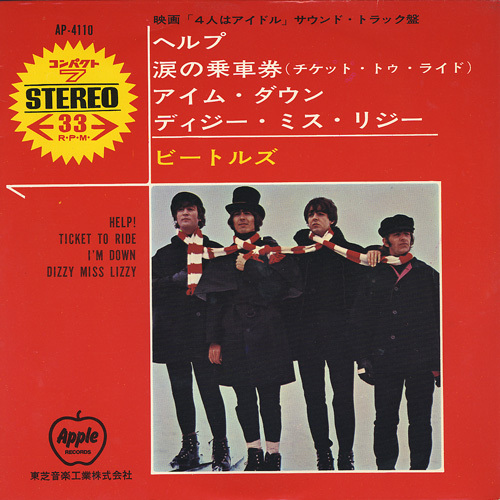 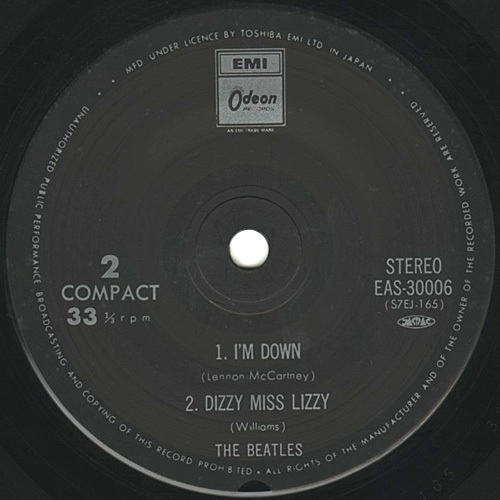 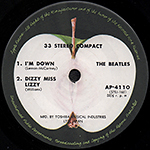 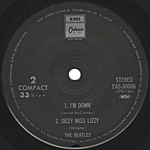 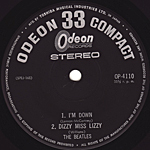 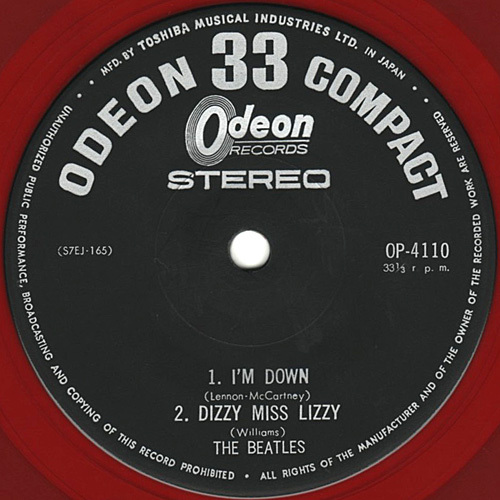 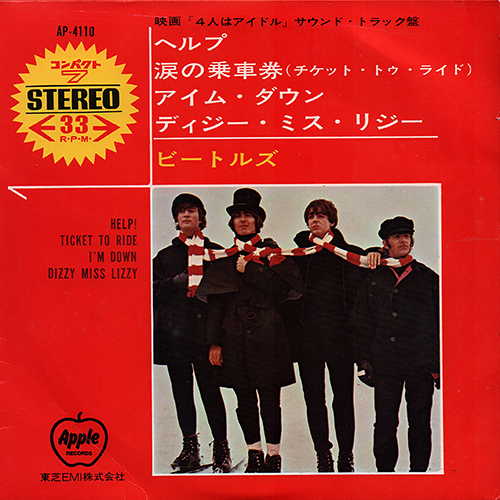 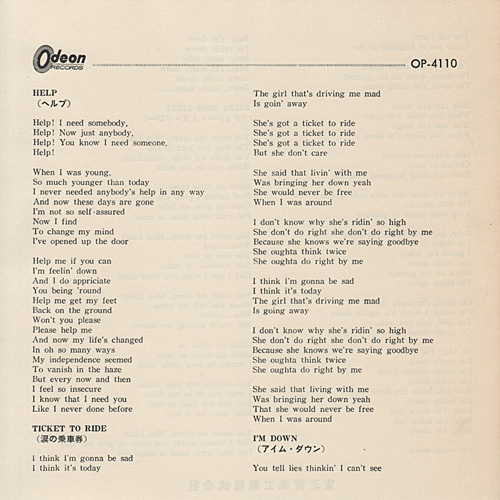 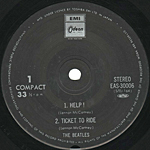 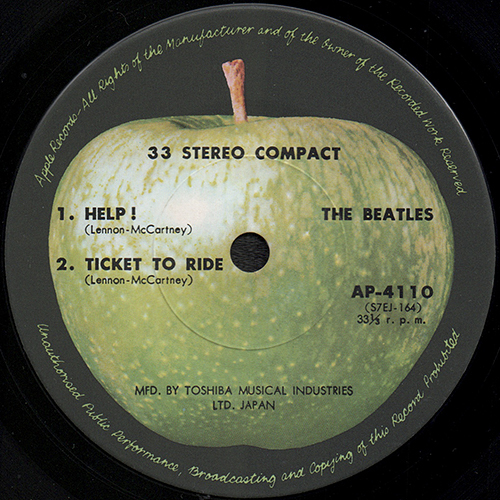 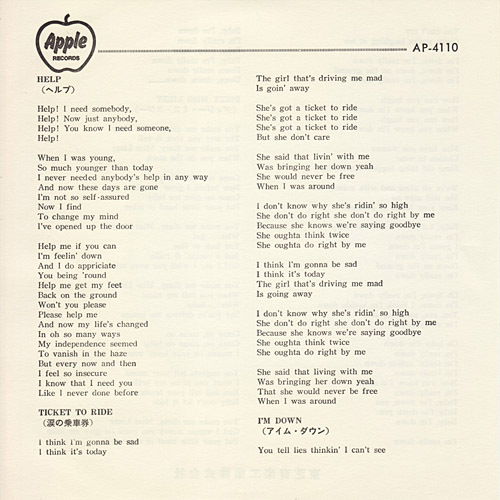 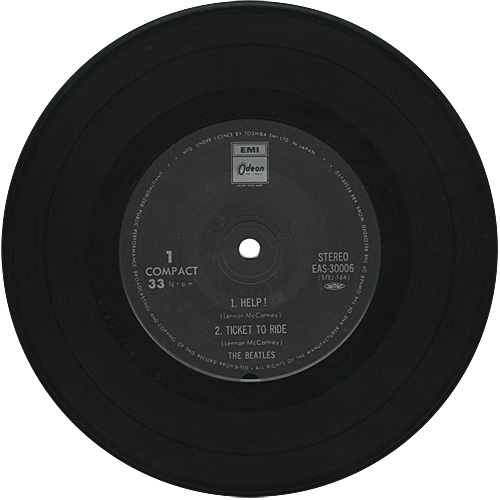 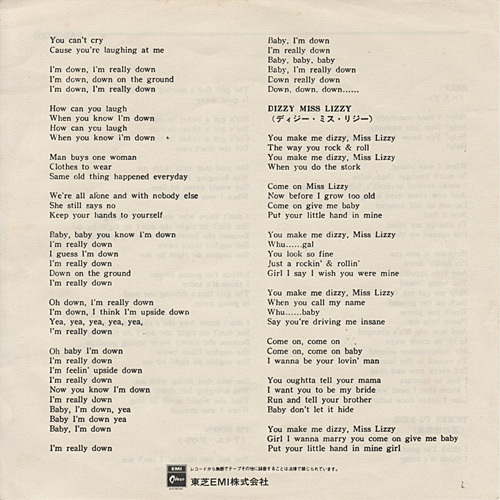 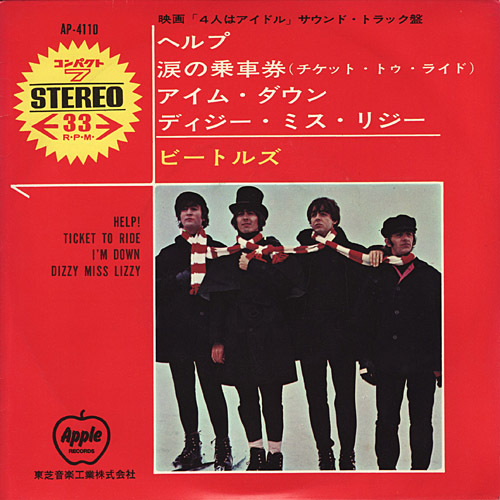 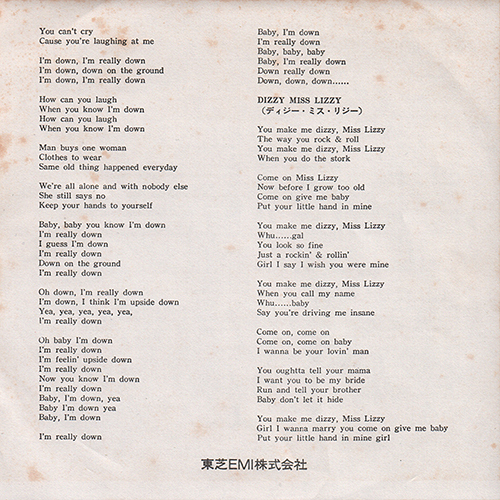 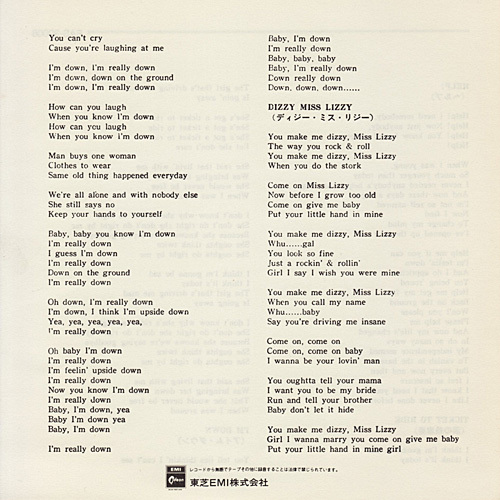 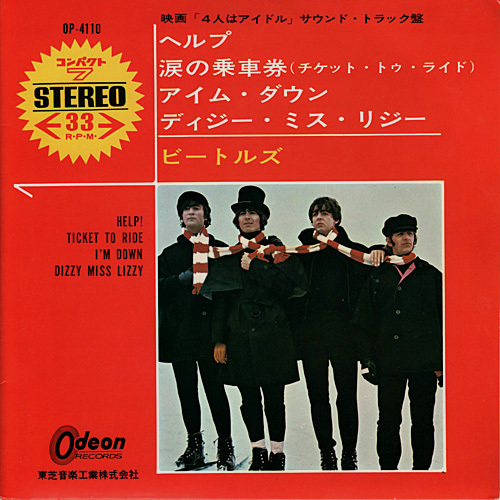 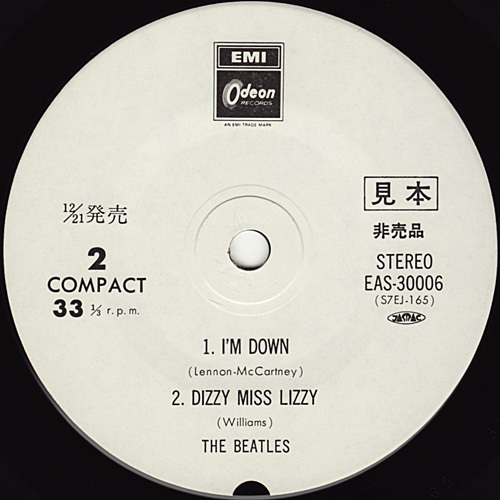 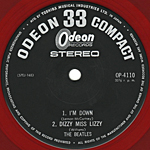 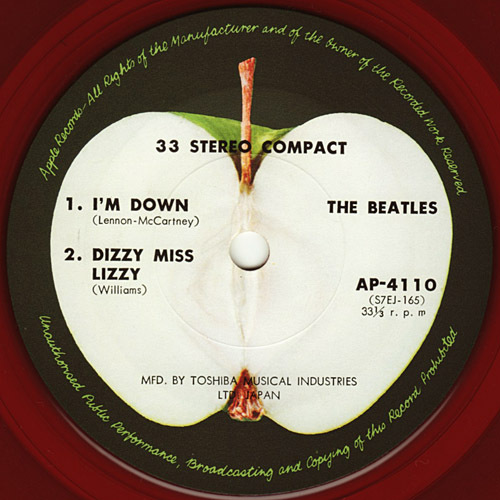 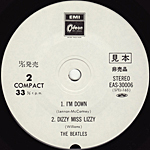 EP features the first appearance of "I'm Down" in true stereo. 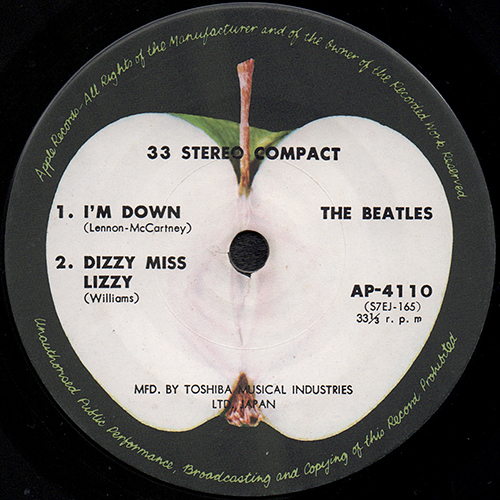 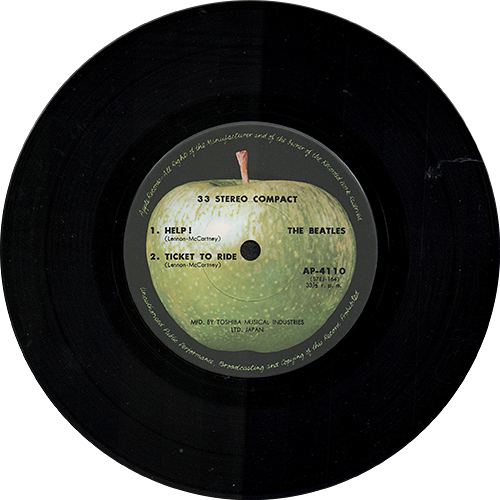 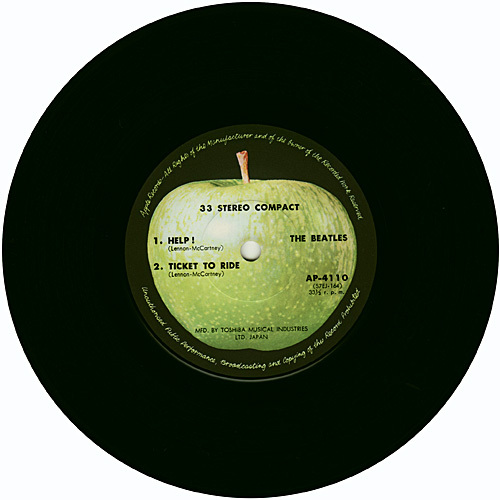 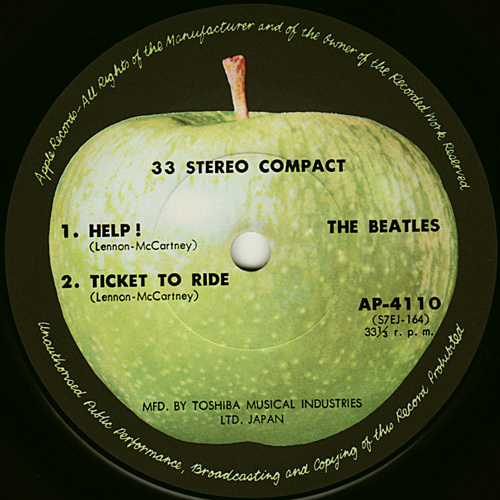 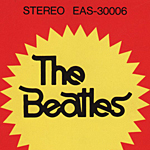 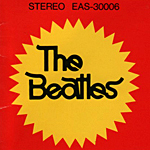 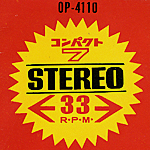 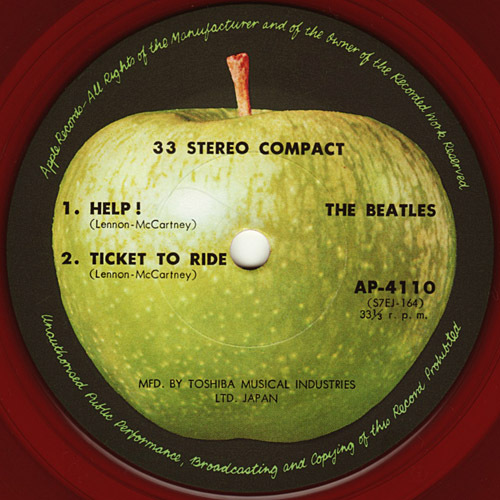 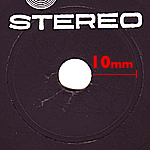 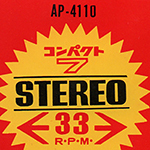 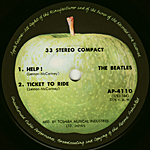 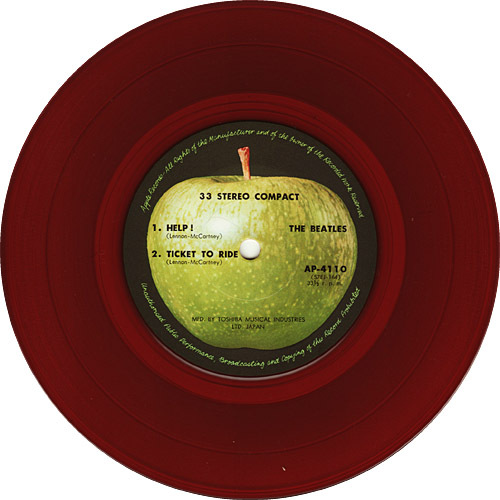 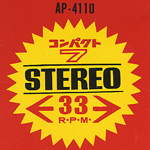 Until 1976, the song was rare in true stereo. 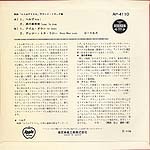 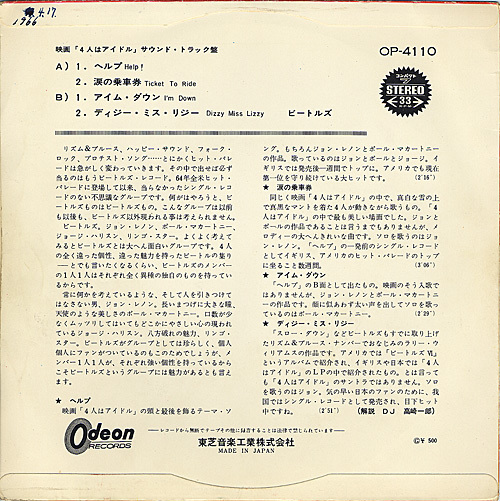 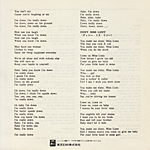 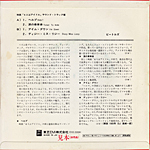 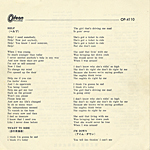 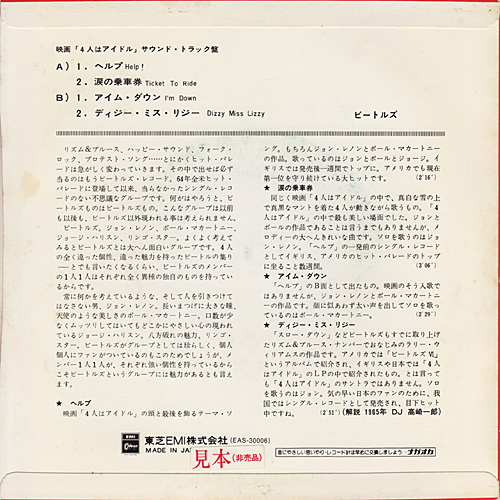 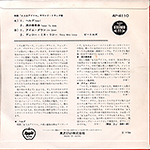 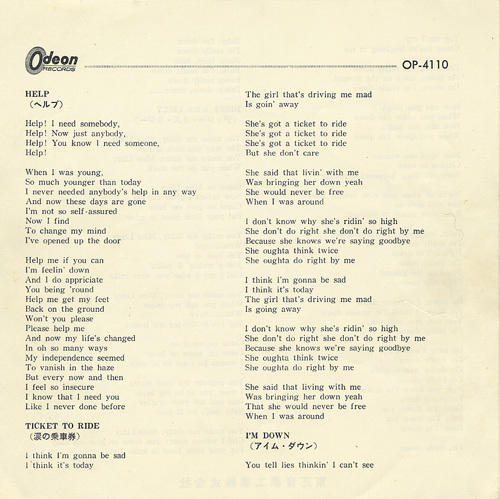 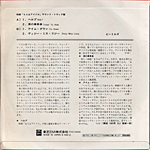 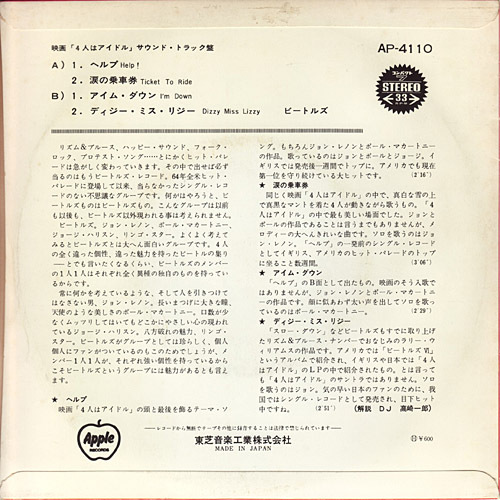 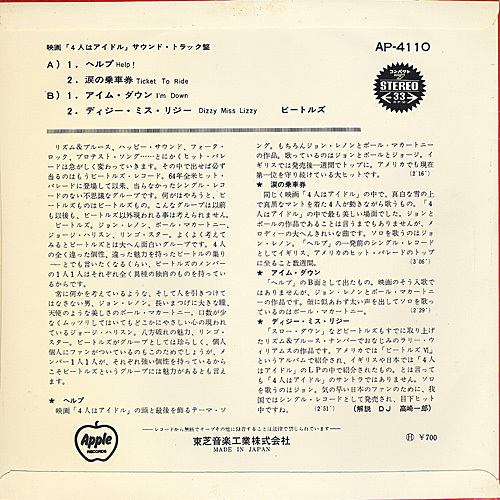 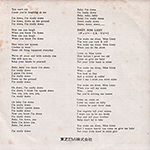 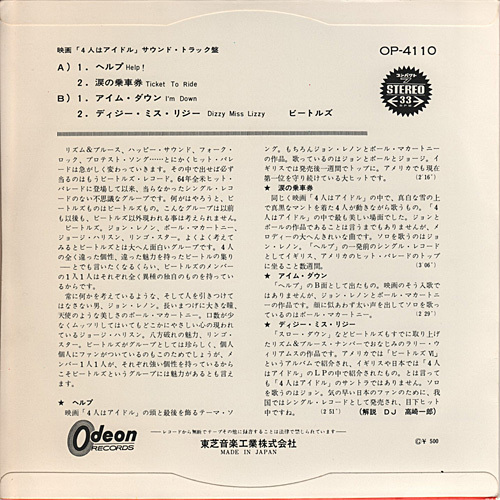 "Toshiba Ongaku Kogyo kabushikigaisha" was printed at the bottom of the back cover. 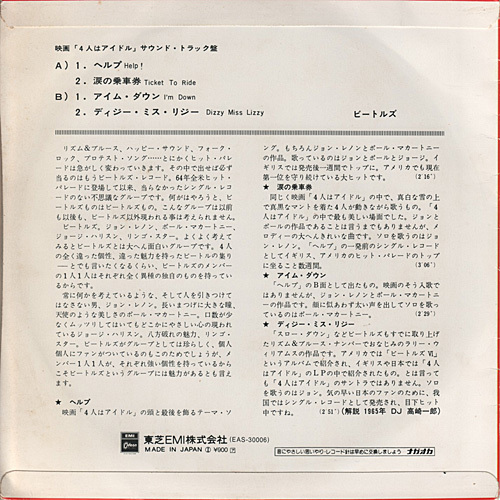 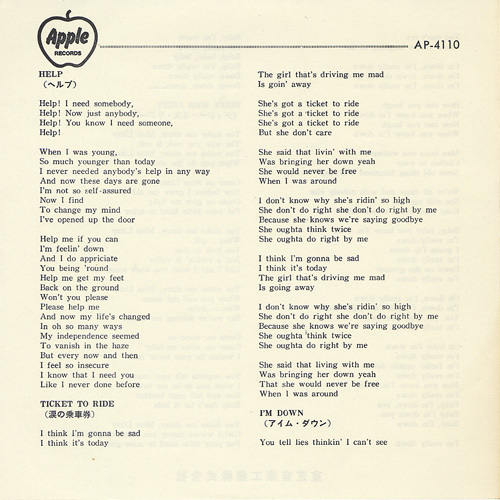 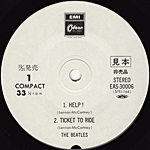 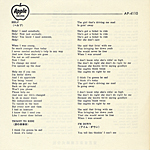 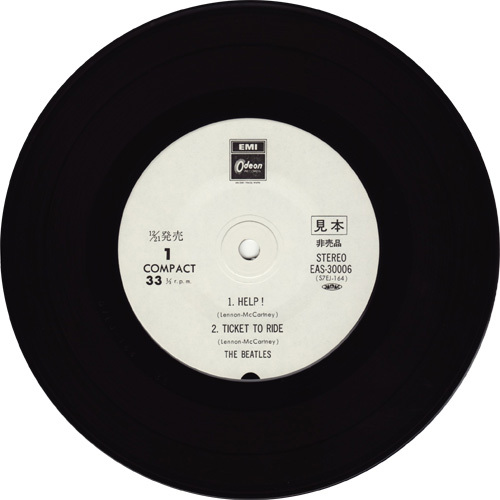 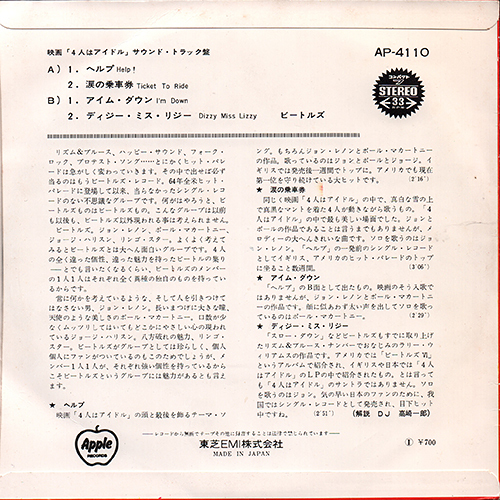 "H-¥700" was printed at the bottom of the back cover. 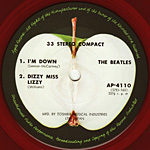 This E.P. was manufactured two ways: both Black and Red vinyl (maybe). 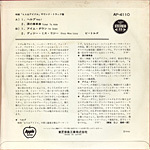 "H-¥700" was printed at the bottom of the back cover. 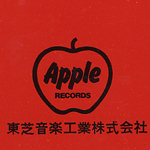 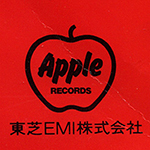 The words "Toshiba EMI kabushikigaisha" and "I ¥900" were printed at the bottom of the back cover. 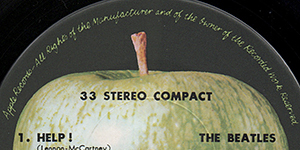 Promo sticker ("Not for sale") was placed over the price on the back cover. 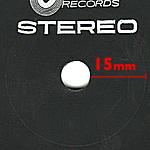 "MFD UNDER LICENCE BY TOSHIBA-EMI LTD IN JAPAN" was not printed at the perimeter. 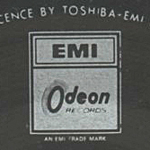 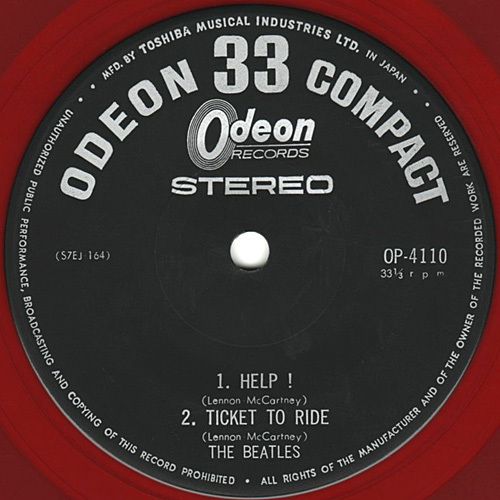 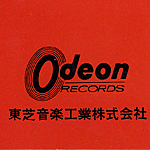 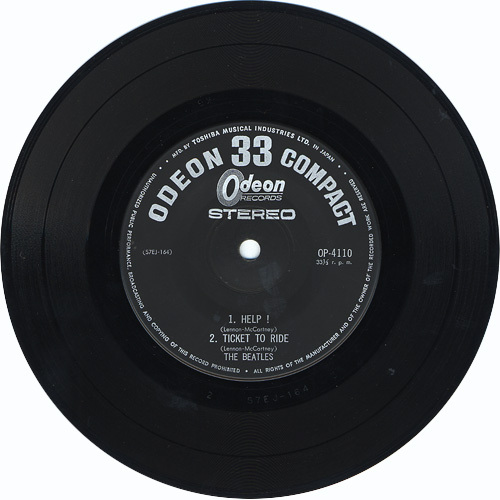 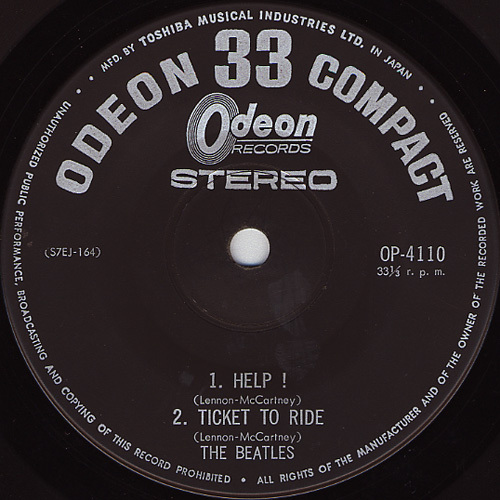 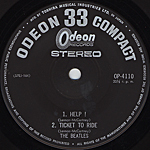 "AN EMI TRADE MARK" were printed at the bottom of th EMI/Odeon logo mark. 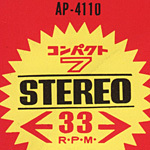 Notice the promo characters inside the rectangle to the right of the label. 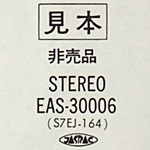 "JASRAC" logo mark is printed under the catalog number of the label. 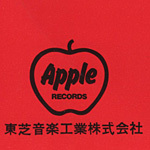 The release date (21th. 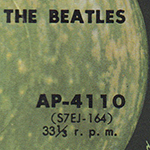 December) is in black and appears above and the left of the label. 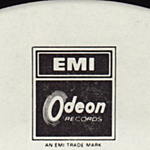 The promo label coloring of EMI/Odeon EP is essentially the inverse of the commercial version. 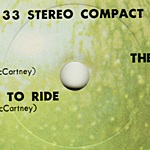 That is, the black print and white background of the promo version is the "negative" of the commercial version that has the same design but uses light print on a black background. 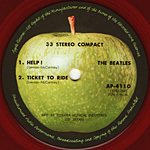 The promo version lacks the perimeter print of the commercial version. 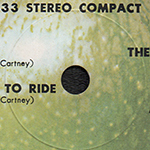 And of course promo characters and release date do not appear on the commercial version.